An Ectomorphs View: Get Big The Right Way! Over the past year, I have put on 14 lbs. of muscle mass. I took bits and pieces of information and included my own ideas to come up with the perfect plan for putting on muscle mass! Get samples of my nutrition and training plan right here! Throughout the last couple years I've read countless articles on gaining muscle mass. I am a classic ectomorph who had problems putting on weight throughout High School. I was an All-County Baseball Player who also excelled on the basketball court. 6'3'' and 170. lbs., my weight was my only real setback. Over the past year, I have put on 14 lbs. of muscle mass. I took bits and pieces of information from various articles, thrown in many of my own ideas as well, and came up with what I feel is the perfect plan for putting on muscle mass. Nutrition is king when it comes to putting on muscle mass. My main focus when it comes to nutrition is keeping your body healthy while packing on quality pounds as well. A lot of articles on gaining muscle mass have misleading information when it comes to nutrition. 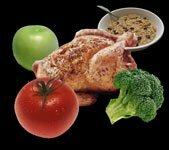 A diet that consists of only complex carbohydrates and high quality protein is NOT the solution. Complex carbohydrates and high quality protein are the building blocks, but you need to incorporate other factors into your diet in order to maintain proper health. Getting the proper intake of vegetables, fruits, and dairy is key to your health and can be used to put on muscle mass as well. [ Click here to learn more. ] Dairy: Bodybuilding Super Food! I'm here to tell you that dairy can be your new wonder food if you know how to make it a part of your nutrition plan. As far as supplements go, they are very overrated. The only thing you need is a quality protein powder or a weight gainer for after your workouts. Besides that, stick to whole foods. The amount of calories you should consume in a day is never going to be the same. There will not be 2 days that you do the everything the exact same way. They say to consume between 20-22x your body weight for an ectomorph, but that is simply an estimation. Start off slow, bumping up your calories slowly every 2 weeks, and let the mirror be your judge. But do not add or cut more than 500 calories at a time, instead do it very gradually. It's a marathon, not a sprint. Here is a sample of a diet on a training day. Keep in mind, the amount of the food can vary, based on how much your body needs. This is just a blue print, it does not have to be followed exactly. You can mix and match your grains if you like, natural peanut butter for peanuts, 2%, 1%, or fat-free milk for whole milk, etc. Plenty of options and still provides the nutrients necessary to pack on muscle mass. Watch Your Sodium Intake. This is probably the best advice I could give you. Too much salt is deadly, and people do not realize how much they actually take in every day. Invest in Balsamic Vinegar. Low in calories, rich in taste. Walden Farms = awesome. No need for a cheat meal when you use their no calorie products. Very simple and straight forward diet. Complex carbohydrates, high quality proteins, and healthy fats. Covers all of the respective food groups, gives you all the nutrients your body needs. On top of that, it will help you add mass to your frame, which is your main goal. The main focus on training should be to make sure that you have proper form on each and every one of your repetitions. An exercise done improperly is an exercise not even done. You may think using your entire body and jerking back and forth while executing Lat Pulldowns will put on muscle mass, but in reality it's doing you absolutely no good. [ Click here to learn more. ] Form For Fitness! What is the correct way to train, and how do you sort through so much information, some of it apparently conflicting? I would strongly advise to go no lower than 8 repetitions in a set. Unless you are a seasoned bodybuilder with a lot of experience, chances are you will not be able to execute proper repetitions with heavy weights. When selecting a routine, know beforehand how many days you will be able to get to the gym that week. Click Here For A Printable Log Of 3 Day Week - Full Body Workout. Click Here For A Printable Log Of Legs & Shoulders. Click Here For A Printable Log Of Back & Biceps. Click Here For A Printable Log Of Chest & Triceps. Much like the meal plan, this is just a blue print. You can perform many different variations of the exercises that are listed. Bodyweight exercises such as Pushups, Pullups, Chin Ups, and Dips should be performed on a regular basics. I do not include Deadlifts in my workouts because unless done with precision, they are ineffective and harmful. Abdominal work should be done at least three times a week, alternating between your upper and lower abdominals. A strong core is just as important as a strong chest or legs. With all the calories you will be consuming, you want to make your abs stand out as much as possible. I disagree with those who think that cardio should be kept to a minimum or not be done at all during mass gain season because it burns calories. Why not do cardiovascular work three or more times a week, and then just consume even more calories to make up for it? You want to stay in shape, and be able to walk up a couple flights of stairs without getting winded. Cardio is the way to go, all year around. [ Click here to learn more. ] 5 Great Benefits Of Cardiovascular Exercise! And please, proper form is everything. Knowledge alone will not help you reach your goals. Working hard each and every day will. You may have had struggles with weight gain in the past, but that all will change now. Have some confidence in yourself, and everything will fall into place.